Marine — Canvasback Products & Services Corp. 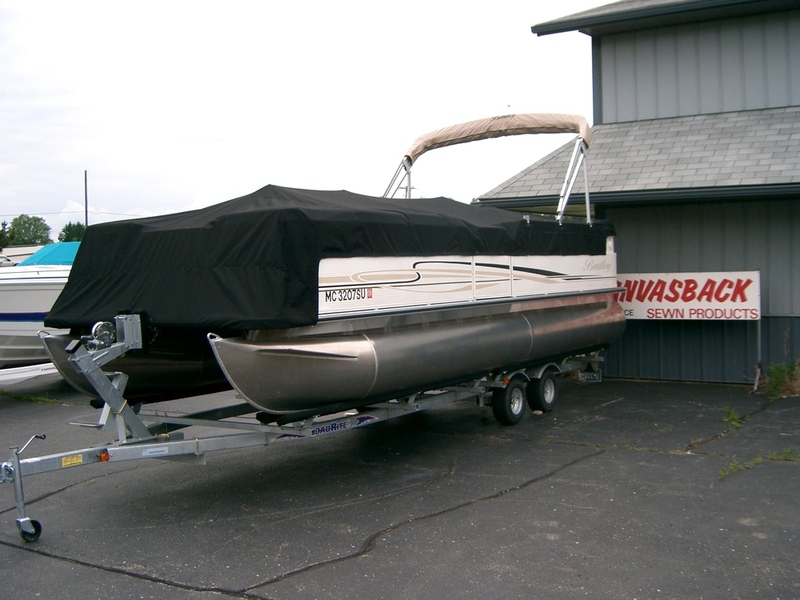 Trick your boat out with marine covers from Canvasback. 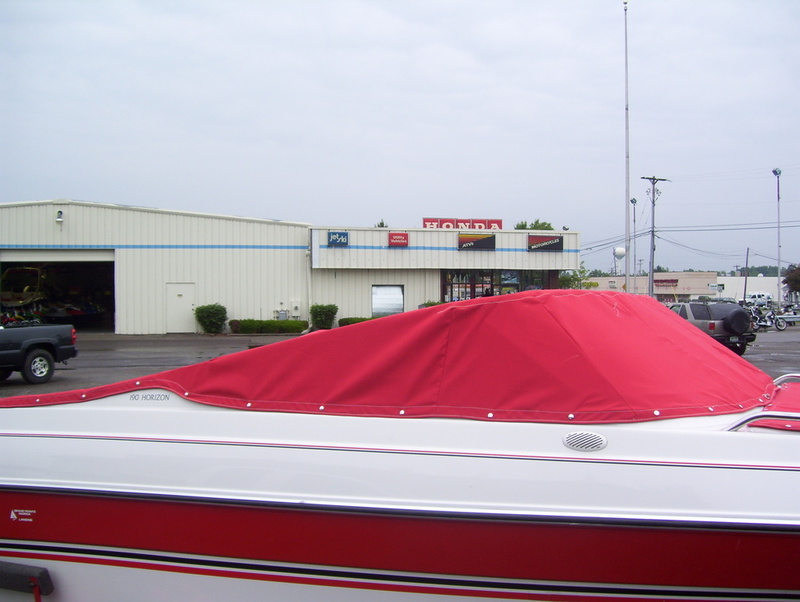 Whether it's a travel cover to get you down the road high and dry, or a bimini top to keep you in the shade on the water, we can help. It doesn't matter if you row around in a 12' pram or fly over the waves in a 30' go-fast boat, or maybe relax in your sail boat, or yacht. 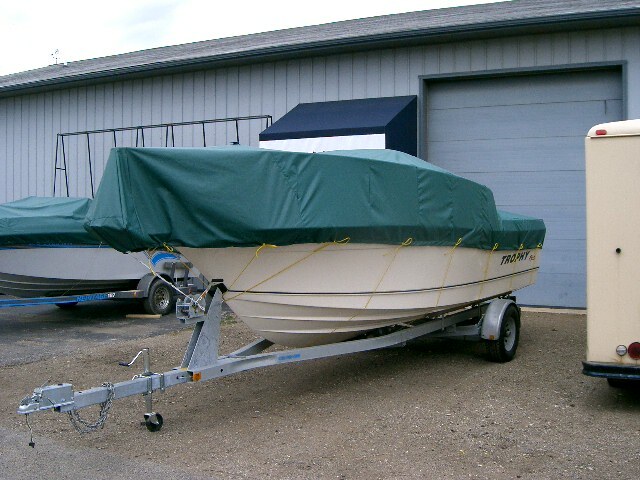 We make covers and enclosures to fit your boat. 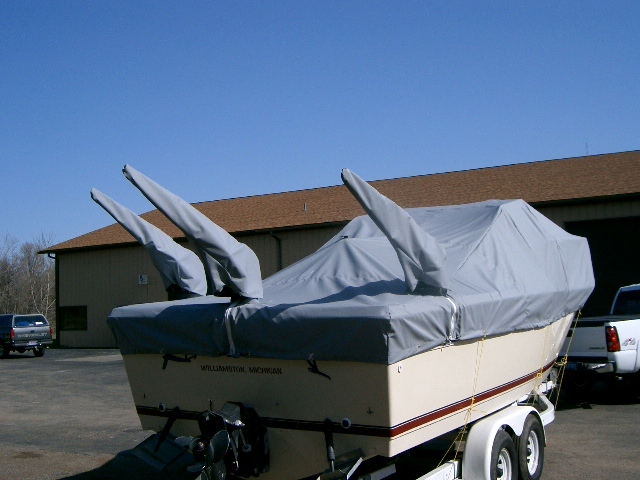 Dodgers, convertible tops, pontoon covers, we make them all in the best marine fabrics available. 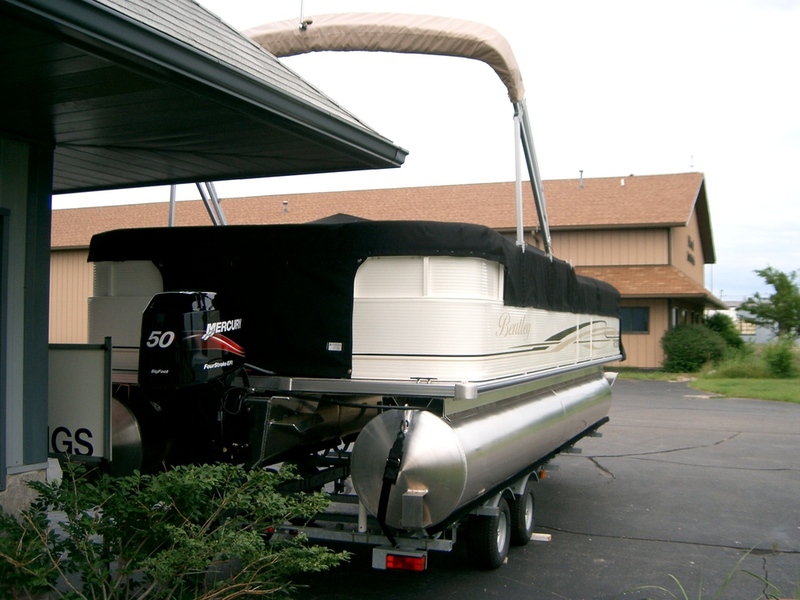 In terms of flooring for your boat or pontoon, glued down carpet is out and synthetic flooring is in! 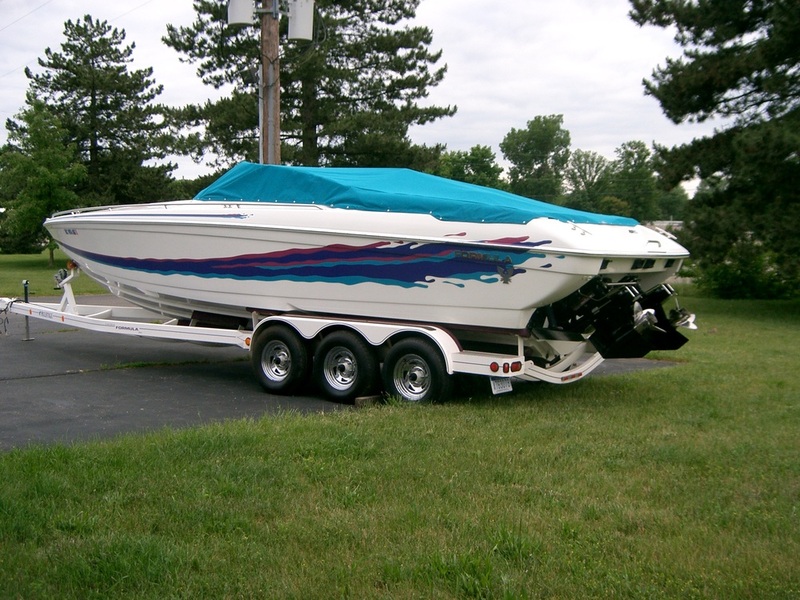 No longer being used in just homes, it's an attractive solution for your boat. 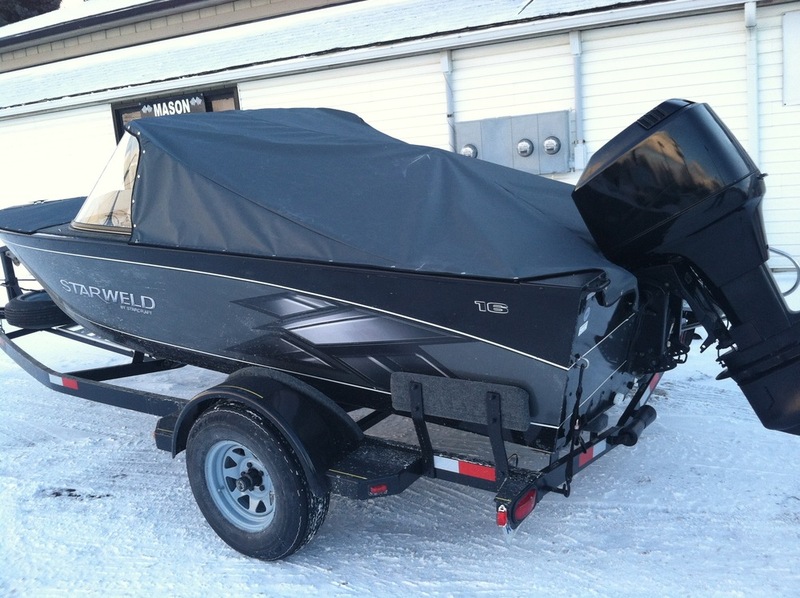 We have information and samples of exterior decking that can be installed in your boat this year. 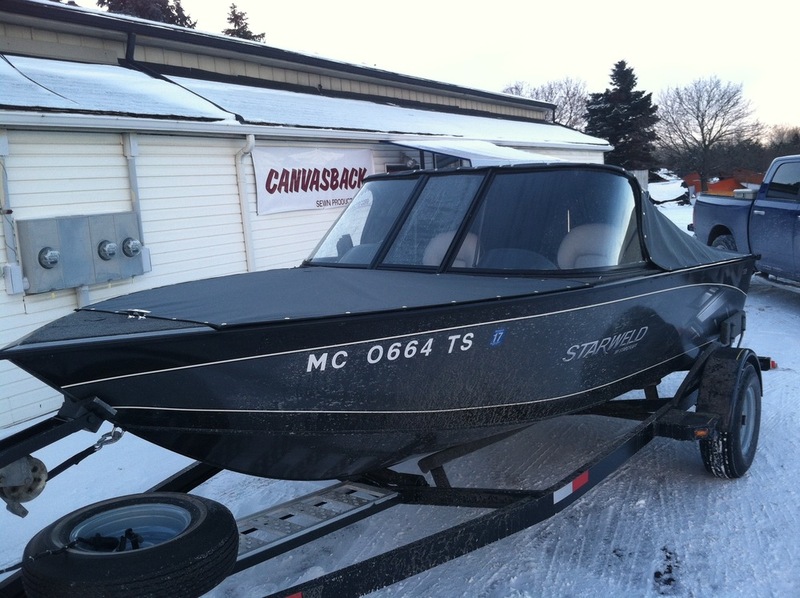 The old style carpeting has also been upgraded to a new synthetic version that can easily be cut and snapped onto your boat floor, with more options for uses and colors. Let us get you ready for the summer! Ask us about making an appointment for same-day service. 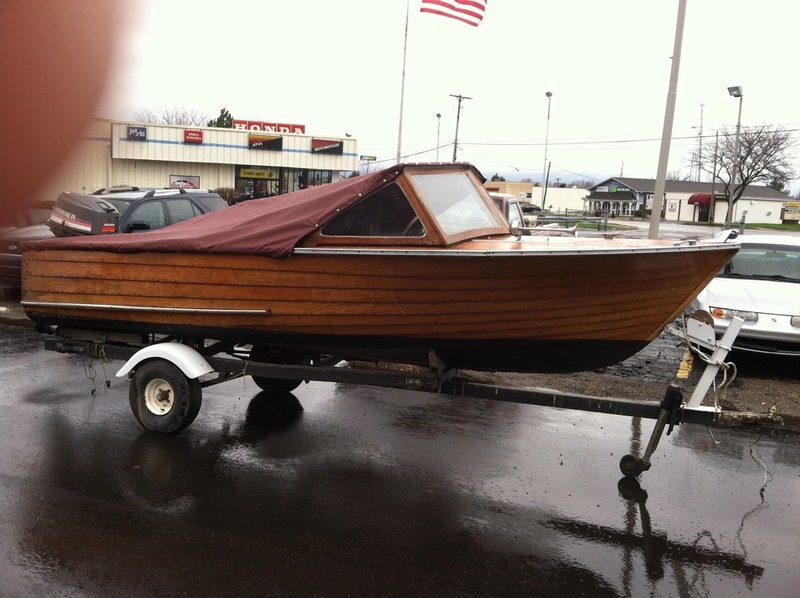 For most jobs, you can drop your boat off before work and pick it up after. 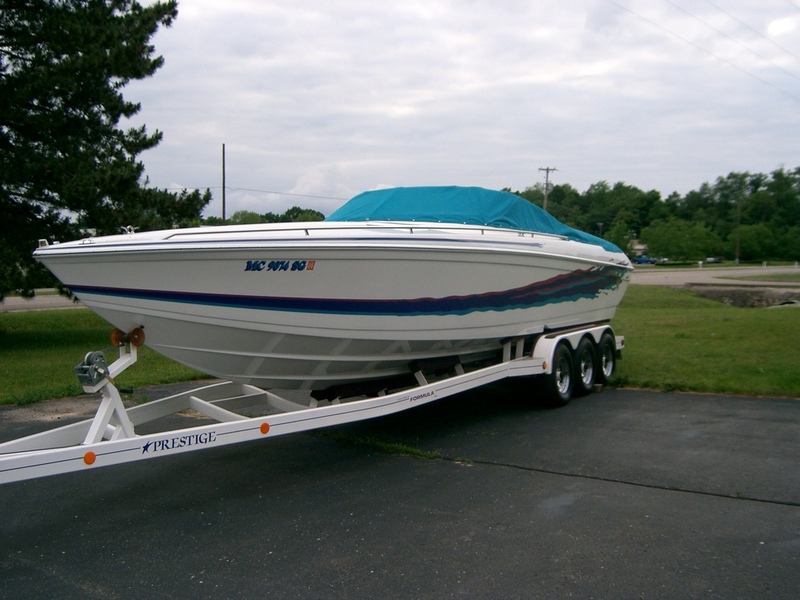 Plan ahead and schedule with us so that your boat is ready for summer. 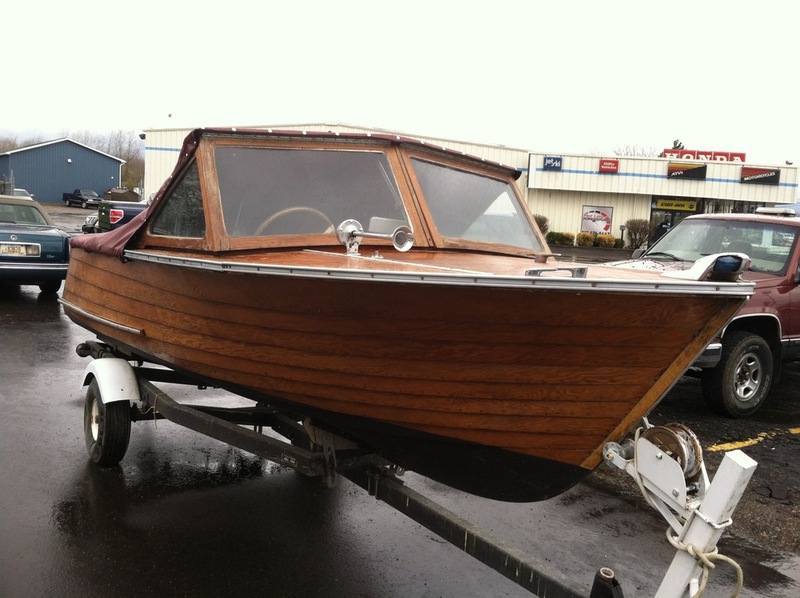 Call early, we do an incredible amount of boat work in the spring and summer months. Our one year warranty gives you peace of mind with the work done at Canvasback. We only use top tier materials, i.e. Sunbrella, Sunbrella Plus, TopGun, and others. Marine fabrics, acrylics, vinyls and clear extrusions have been developed specifically for marine use, are long living and maintain a good appearance over the years. 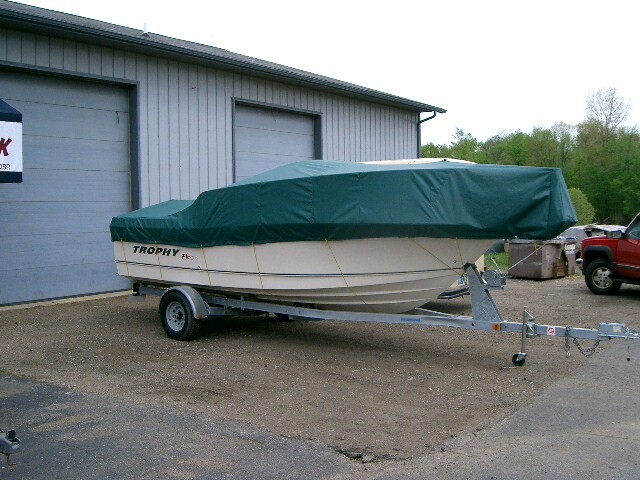 Mooring cover, travel cover, bimini, free standing, camper backs, afts, framing, upholstery, carpeting, shore station covers, pontoon covers and biminis, sails, boots, bow covers, dodgers and more. We use 7/8" aluminum or stainless and heavy duty stainless fitings. In addition to fabric warranties, we offer a one year warranty on workmanship and materials. We offer awning cleaning services and yearly installations. 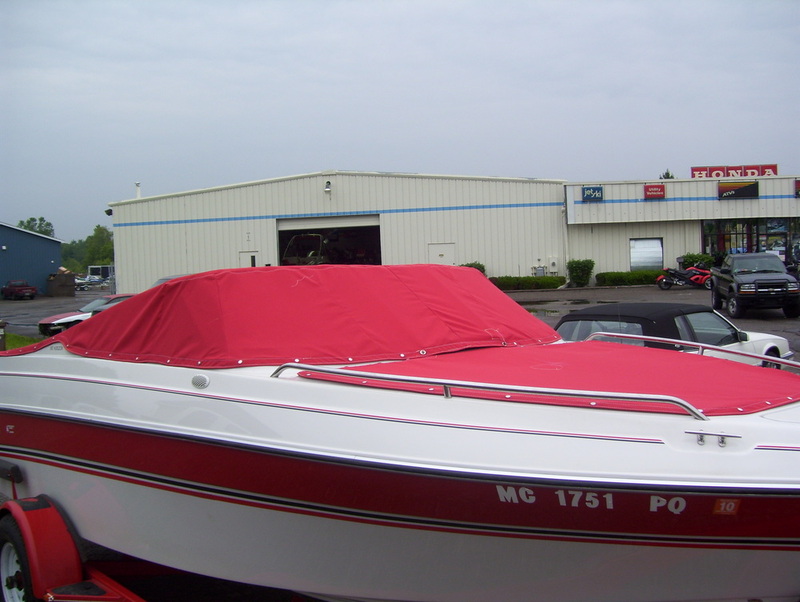 We repair any fabric piece on your boat and additionally zippers, snaps, frames, clear vinyl windows, binding, seat covers, upholstery and we also do waterproofing!